SEAL (4286) succeed breakout RM0.495 resistance level. 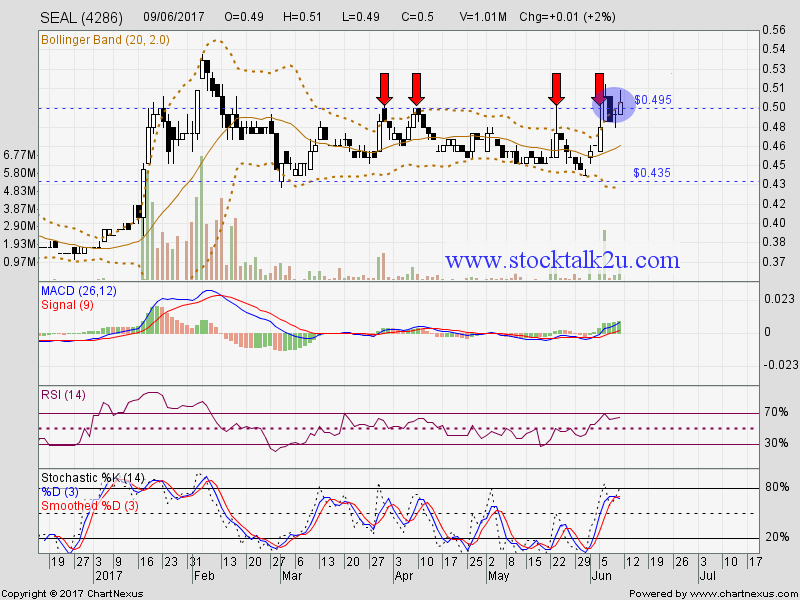 Immediate resistance @ RM0.51 level. 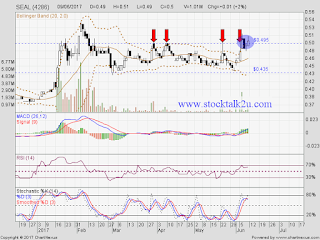 Immediate support would be RM0.495 level. Subsequent support @ RM0.48 level.